This week would have to rank as a pretty horrible one for Google. 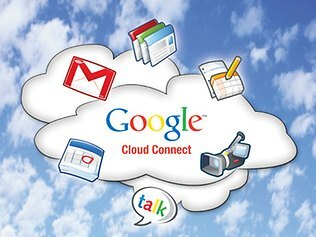 Following controversy over how data stored on Google Drive may be used during and after customers are actively engaged in using the cloud service received massive worldwide coverage, Google has reportedly admitted to knowing that the software engineer who designed the software for Google’s Street View cars deliberately developed it to collect households’ unencrypted wi-fi data. I appreciate that Google tries to auto complete my browser search strings, but until now I had not thought about the privacy implications of that service. Between Google Docs and Dropbox, I have no need to consider switching to Google Drive in the near term, but Google’s being in the news this week does raise the usual questions about privacy that are raised when discussing CCTV use. What is the risk-reward trade-off here? Incidentally, I don’t use Google Docs or gmail, or Dropbox, for anything I would mind going astray; and my gmail is probably not all that insightful because although my personal details are honest I am selective about the content that passes through it. What are everyone else’s thoughts on this issue? I really don’t know how I ever worked without drop-box! It’s great for sharing files but terrible for document collaboration.. That’s where google docs comes in handy. Personally I love http://typewith.me as you can do live collaborative coding.